Opening hours: 7am to 10pm daily. 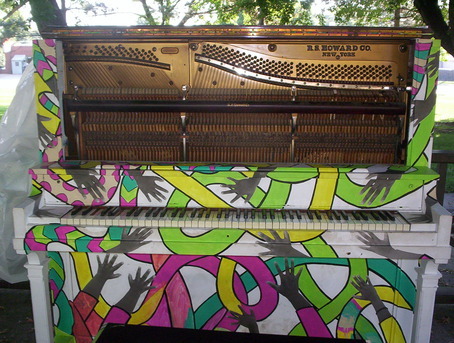 Designed and decorated by Alicia Reyes McNamara in partnership with The Union for Contemporary Art. Hosted by City of Omaha. 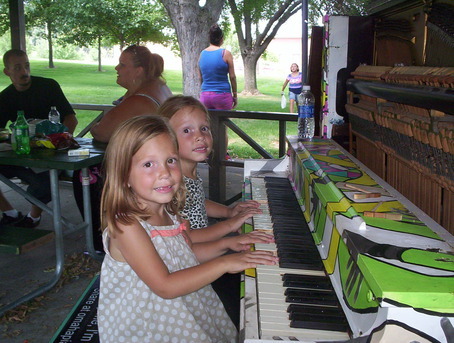 Meet Keilah and Halsey...both of whom I tried to teach how to play "When the Saints Go Marching In" and "Twinkle, Twinkle, Little Star." David and McKenna give that R.S. Howard upright a workout! 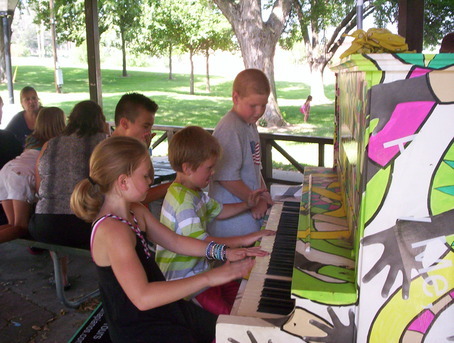 McKenna and David engaged in some piano hijinks during David's birthday party at the gazebo at Florence Park. Nice and shady spot to play on a nice hot Sunday. There was a crowd in the gazebo when we were there today so we had an audience. 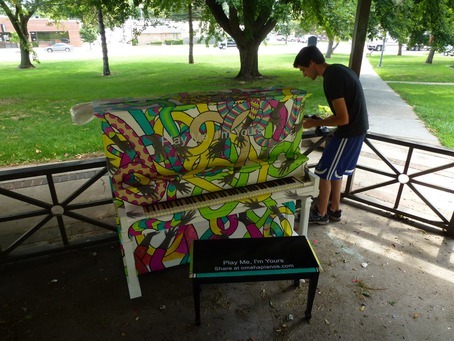 With one day to spare, I made it to the last two of the pianos! 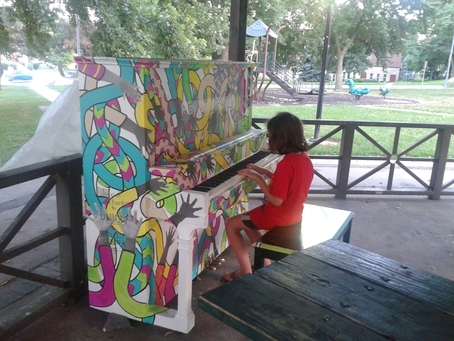 I finished up at Florence Park after playing at ConAgra Plaza earlier today. Who said Florence Park's R.S. 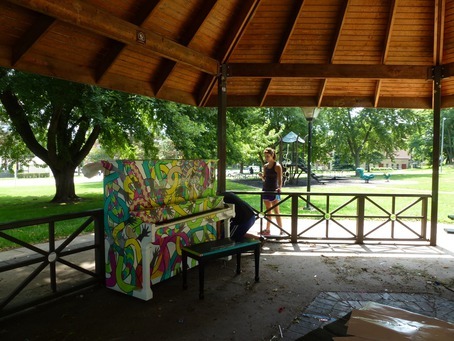 Howard upright (from the 1920s) was put out of commission by vandals? 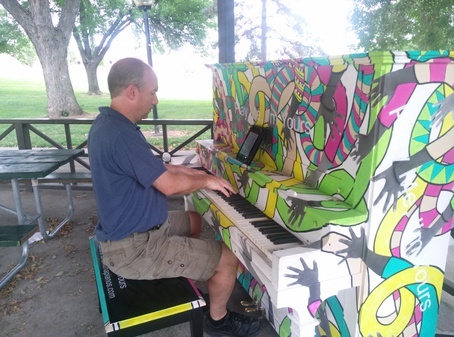 This morning (9-6-2013), I had a chance to play "He's Got the Whole World in His Hands" on this one...and I'll be proud to come back to it this Sunday. Our daughter uses the Florence piano to get ready for her lessons! Went to play the piano in Florence this evening. 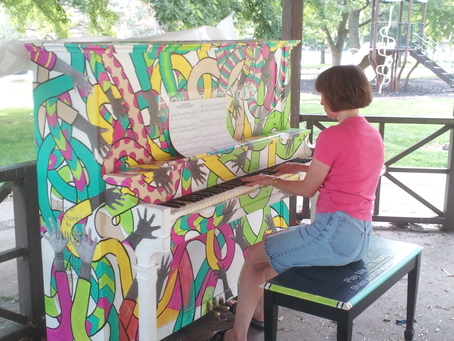 The bench was being used as a staging area by a face-painting clown. I suppose that's OK.
A beautiful day in Florence Park. Caught in the act while we were posting more signs! 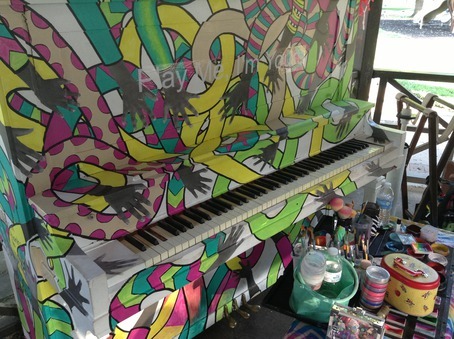 Well done to everyone involved in decorating this hands-on piano. 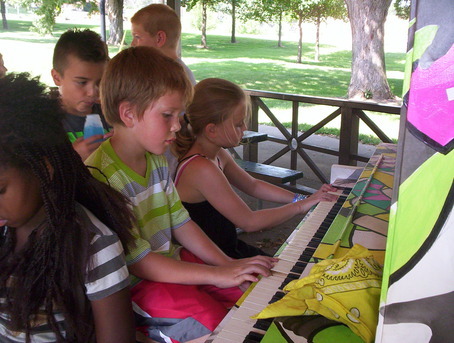 Great spot for a picnic and some piano lessons - come on down and have a go. 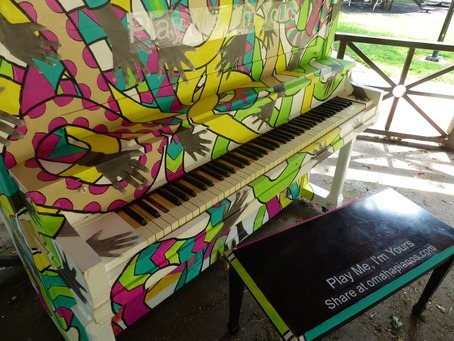 This one is close to a school and a playground so we hope the local children are inspired to play.